A COLLECTOR’S GUIDE TO ROYAL COPENHAGEN PORCELAIN. A wonderful reference for all who collect and enjoy Scandinavian porcelain and figurines. 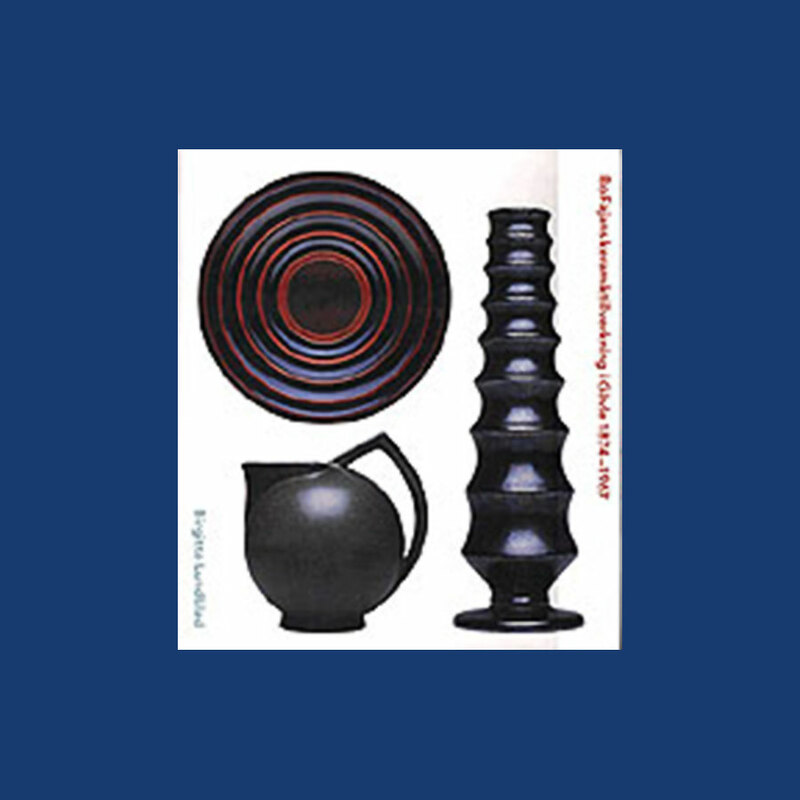 This extensive guide identifies and describes over 2,400 pieces, including 800 figurines, produced by the renowned Royal Copenhagen of Denmark from 1910 through 2000. The text provides a brief history of the firm, established in 1775, explains the company’s marks, and includes a bibliography. 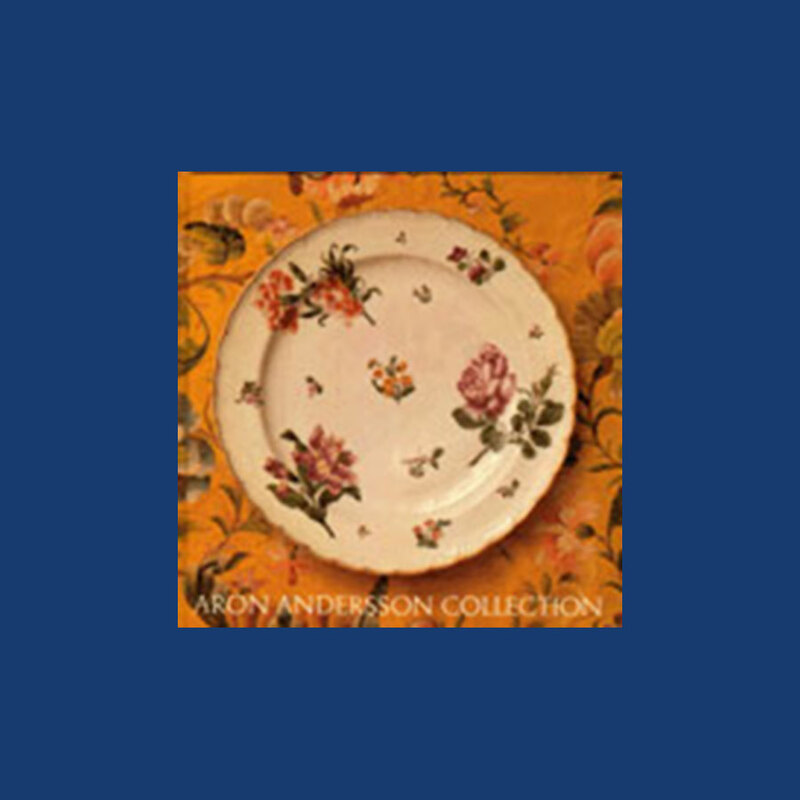 ARON ANDERSSON COLLECTION: European XVIIth Century Porcelain. Illustrations: 14 Color Illustrations. 229 B&W Illustrations. The mainly 18th century European porcelain collection shows us some of the most beautiful examples of handpainted fine china in the form of bowls, cups, plates and figurines. The collection includes Meissen china, other German, Austrian, Dutch, Italian and Spanish china, French china like Sevres, Belgian and Russian china from the 18th to the 19th centuries. 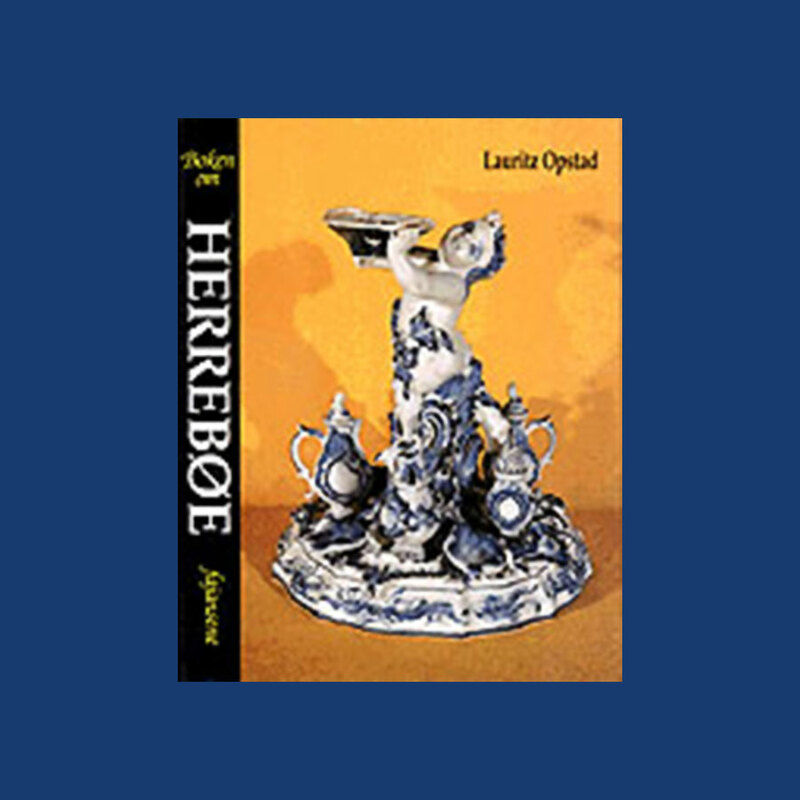 Essays include Aron Andersson - a collecting scholar; European XVIIIth century porcelain; The Meissen factory in the time of Augustus the Strong (1710-33) etc. Explore the broad range of beautiful, high-quality porcelain figurines manufactured by the Bing & Grøndahl Porcelain Manufactory, of Copenhagen, Denmark, in the late 19th and early 20th centuries. More than 700 animal and human figurines are shown, along with date marks, shop signs, plates, dishes, bowls and vases. Today, collectors worldwide appreciate the sculptors and decorators skills, as reflected in their charming figurines. Ideal for novice collectors, figurine addicts, this book provides insight to the huge range of lovely porcelain figurines available new and vintage. BO FAJANS KERAMIKTILLVERKNING I GÄVLE 1874-1967 (The Making of Ceramics in Gävle 1874-1967). Illustrations: 93 Color Illustrations. 111 B&W Illustrations. One the major Swedish porcelain factories that produced much of the famous wares that created the ‘Scandinavian look’ in the 100-year span from the 1870’s was Bobergs Faience Factory in the small town of Gävle. This comprehensive volume is the definitive history of the factory, its production and its designers until the 1960’s when the business closed. Nicknamed Bo Fajans, the factory and its town are a microcosm of industrial and social development in Scandinavia in our century, and bear parallel witness to the development of a modernist crafts philosphy and style. 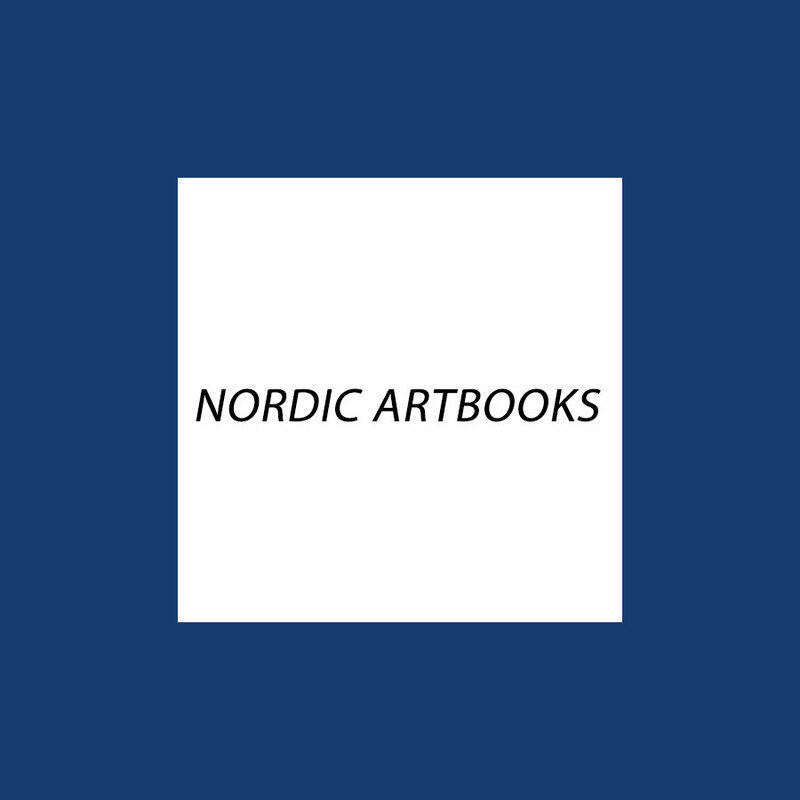 Exquisite photographs of exquisite art pieces by Allan Ebeling, Maggi Wibom, Eva Janke Björd, Gabriel Burmeister, Ewald Dahlskog, Maude Fredin-Fredholm, Eva Jancke Björck, Berit Ternell and many more . Extensive biography of each artist and their marks.This is an amazing resource for the collector and every one interested in design and ceramics. BOKEN OM HERREBØE FAJANSENE (The Book about the Herrebøe Faience). Illustrations: 23 Color Illustrations. 117 B&W Illustrations. Here are many exquisite objects from Norway’s Herrebøe Fajance Manufactory, ornate, formal blue and white, painted with overglaze. This is more than a book for the porcelain lover - it will be a valuable resource for the collector, as it provides complete information on marks, and the dimensions and provenance of the porcelain.